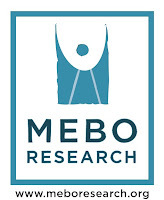 MEBO Research has received an email from the Program Manager of the National Genetics Education and Consumer Network (NGECN), Genetic Alliance. She is asking for volunteers who have been daignosed with having a genetic condition to fill out a survey by Thursday, June 6, 2013. Below is a copy of the email. We are reaching out to you for your help in disseminating a survey to your members with genetic conditions and their families and anyone else who may be eligible and interested in participating. To be eligible, respondents must have been told by a doctor or other health care provider that they (or their child) have a genetic condition. Genetic Alliance, in collaboration with the American College of Medical Genetics (ACMG) and the Health Resources Services Administration (HRSA), is conducting this survey to assess how individuals with genetic conditions access health care and support. The data will be very helpful in painting a picture of health care experiences of individuals with genetic conditions and their families, and will provide direction for future programmatic efforts with the goal of improving access and health. We ask that you share this message and the survey link below and request that individuals complete the survey by Thursday, June 6, 2013. If you have any questions about the survey or use of the data, please contact Sharon Romelczyk, Program Manager at sromelczyk@geneticalliance.org. This project has been approved by Genetic Alliance’s Institutional Review Board (IRB) to protect all survey respondents and ensure that all responses will be kept confidential.